Plaintiff is seeking judgment against Defendants, preliminary and permanent injunctions, punitive damages, attorneys’ fees, and investigatory fees. Oakley has been a successful manufacturer and retailer of eyewear since at least 1985. 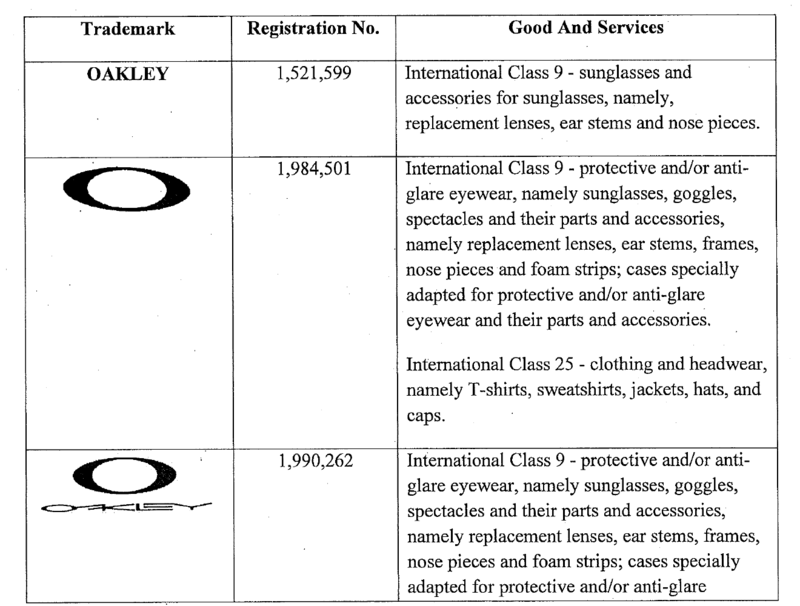 During that time, they have acquired many trademarks including, but not limited to those pictured above (collectively, the “Oakley Marks”). 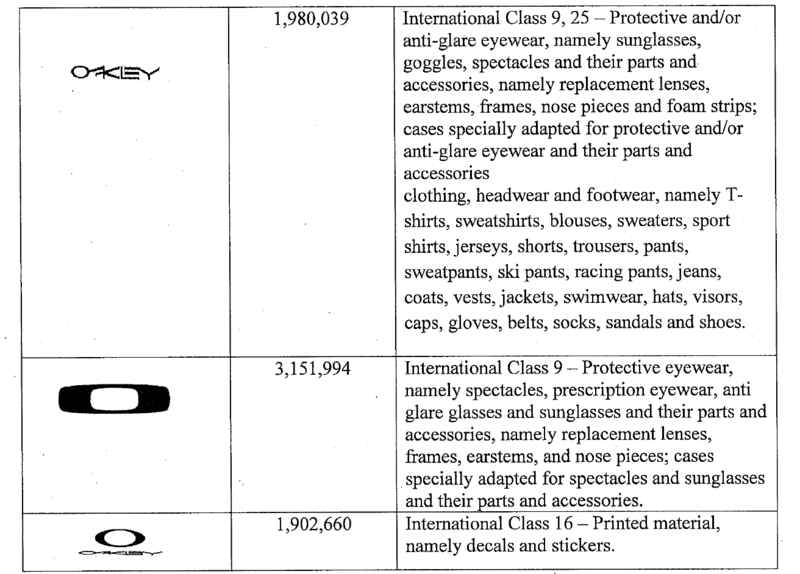 Plaintiff has utilized the Oakley Marks to distinguish their high quality products from those of others and their consumers have come to recognize their distinct marks. Plaintiff filed this action after discovering counterfeit products bearing infringing Oakley Marks were being offered for sale and/or sold at a gas station with a convenience store operating under the name of “SUNMAN BP.” It is Oakley’s belief that the Defendants are selling and offering for sale these counterfeit products with the intent that they will be mistaken for genuine high quality Oakley eyewear even though the Defendants are not licensees of Oakley nor have they been given the authority to use the Oakley Marks. 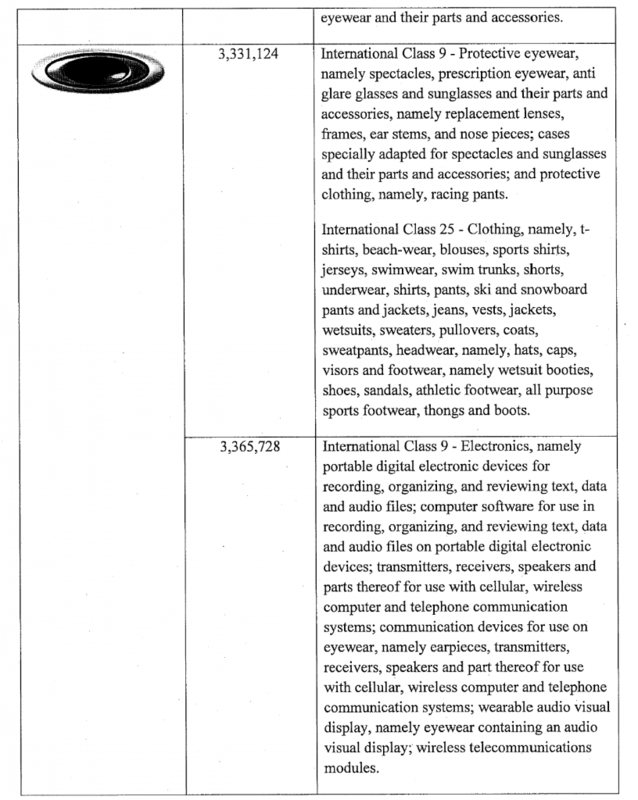 Count one of the Complaint alleges federal trademark infringement under 15 U.S.C. § 1114 as Defendants’ infringing activities are likely to cause consumer confusion or deception. The next count claims that the Defendants’ activities will falsely mislead consumers as to the origin of their products and that their activities constitute false advertising pursuant to 15 U.S.C. § 1125(a). Count three explains that Defendants should be liable for trademark dilution in violation of the Lanham Act, 15 U.S.C. § 1125(c) as the use of the infringing marks is likely to blur the distinctiveness of the marks and tarnish the good name of Oakley. 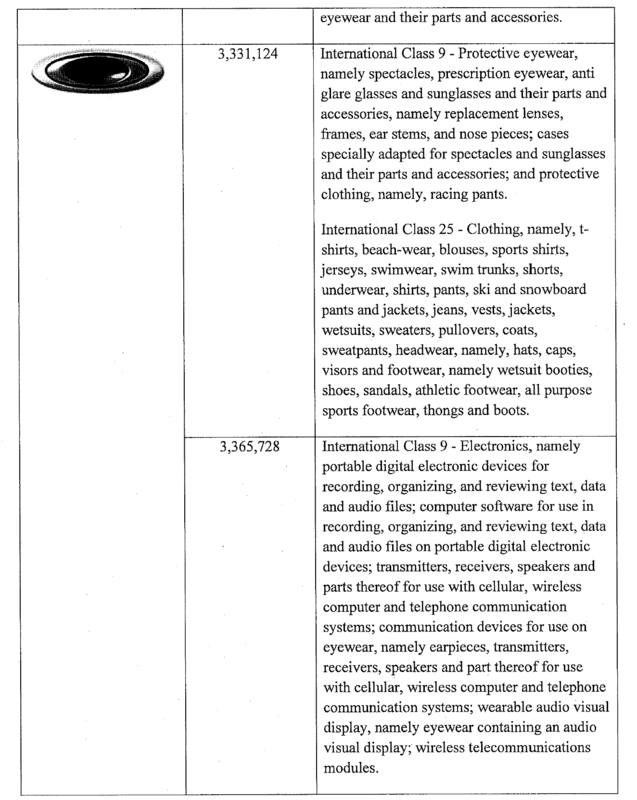 Finally, Oakley has three claims for trademark infringement, unfair competition, and unjust enrichment, all falling under Indiana common law. The case was assigned to District Judge Tanya Walton Pratt and Magistrate Judge Debra McVicker Lynch in the Southern District and assigned Case 4:18-cv-00085-TWP-DML.